The musical version of Armistead Maupin's Tales Of The City will see its world premiere in San Francisco next summer. "Tales of the City," a new musical adaptation of Armistead Maupin's famed stories - created with veterans of "Avenue Q" and members of the rock band Scissor Sisters - will receive its world premiere in the American Conservatory Theater's 2010-11 season. Bill Irwin, Harold Pinter, and a new take on Sartre's "No Exit" are also featured in the ambitious lineup to be announced today by Artistic Director Carey Perloff, along with the previously announced, three-theater staging of Tarell Alvin McCraney's "The Brother/Sister Plays" trilogy. 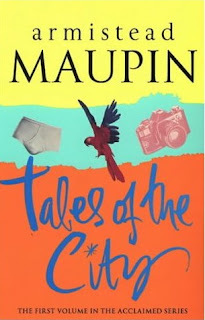 "It's a wonderful valentine to the community in which we live," Perloff says of "Tales," noting that Maupin began his opus as a series of columns in The Chronicle. It's the kind of San Francisco story, like her own "The Tosca Project" this season, "that's a big part of the kind of work we want to make at ACT." Perloff acknowledges that "Tales" has Broadway aspirations, with the participation of "Avenue Q" librettist Jeff Whitty and director Jason Moore, and Scissors songwriters Jake Shears and John Garden. But the premiere "is an ACT production for ACT's audience," she says. "Clearly it's an extraordinary team, and it would be surprising if it didn't have a longer life. But that isn't the first imperative, which is to do a fantastic production for a fantastic city." Like uncountable thousands of gay men, I decided I needed to live in San Francisco once I read the first volume of Tales In The City. 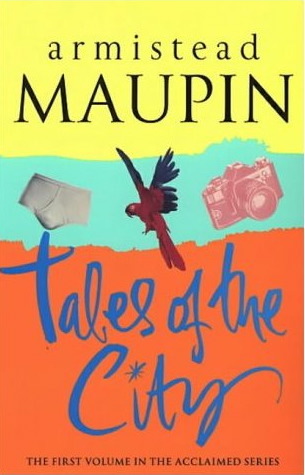 And in 1994 I practically tackled Armistead Maupin for an autograph in the middle of Fifth Avenue as he lead the television cast of Tales Of The City to their place in the Stonewall 25 Pride parade. He kindly introduced me around and to this day I can't even remember meeting anyone else. Laura Linney? Olympia Dukakis? Who knows? Today's bonus cool points: Both Maupin and Avenue Q's Jeff Whitty are JMG readers.